THURSDAY, AUGUST 23 – NIGHT FOR TRUCKS! FRIDAY, AUGUST 24 – CHILDREN’S NIGHT! – CRUISE NIGHT! Women’s Powder Puff – 2 Classes – 1650 lbs. & Over 1650 lbs. SATURDAY, AUGUST 25 – AGRICULTURE DAY! DEMO NIGHT! 5:30PM Stoney Roberts Demolition Derby (On the Hill) – NEW TIME! 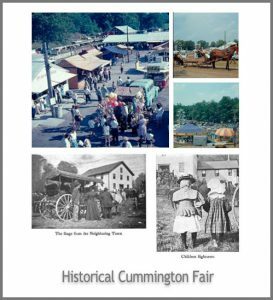 SUNDAY, AUGUST 26 – OLD FASHIONED FAIR DAY! PROGRAM IS SUBJECT TO CHANGE WITHOUT NOTICE! “NO PETS ALLOWED ON GROUNDS. SERVICE DOGS ONLY”.